Description: Werola Lia Griffith Crepe Paper X Fine 1 pc Honeysuckle- High quality, extra fine crepe paper inspired by nature. 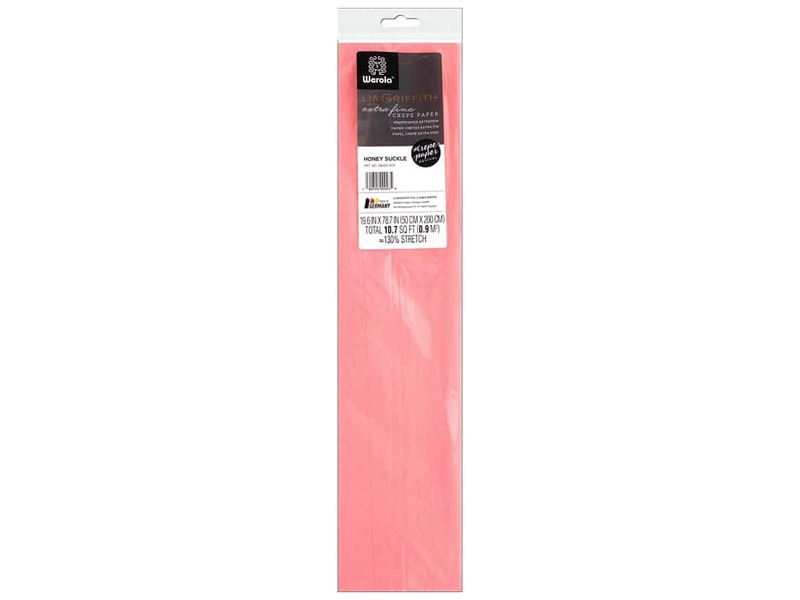 This extra fine crepe paper is lightweight with 130% stretch, making it very malleable and easy to use. Perfect for making crepe paper flowers, wedding and special event decor, elegant gift wrapping, kids projects, and paper crafts of all kinds.